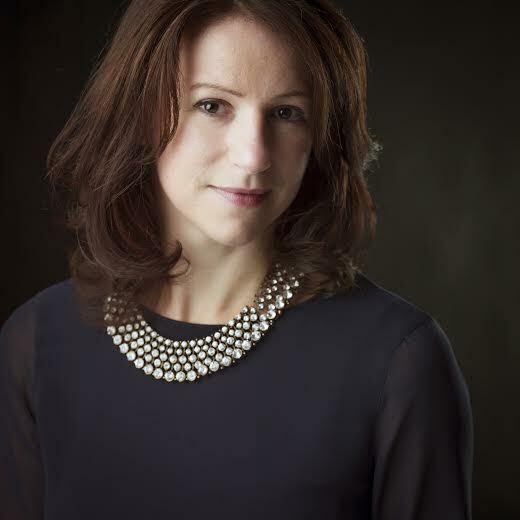 Today we welcome historical novelist Hazel Gaynor to The Debutante Ball. Her debut, THE GIRL WHO CAME HOME, tells the story of a young Irish woman, Maggie Murphy, who reluctantly leaves her Irish home and her sweetheart, Séamus, to start a new life in America with her aunt. They travel on RMS Titanic. Seventy years later, Maggie confides in her great-granddaughter, Grace, sharing her experience of the traumatic events of April, 1912. Maggie’s revelations have far-reaching repercussions for them both. It is a truth universally acknowledged that the planning of a book launch is a curious thing. I know this to be true, because I am right in the middle of a book launch plan-a-thon right now. Yes, now – while I am writing this post. I should really be selecting teeny tiny things for my guests to eat. I should be choosing which of the ten possible outfits I may, or may not, wear. I should be booking an appointment for an amazeballs blow dry. And that’s exactly what I find so curious about planning a book launch. The book so often tends to get lost among all the talk of finger food and too-high shoes. You see, when I tell people I’m having a book launch, they more often ask me what I’m going to wear than what the book is about. Curiouser and curiouser. And then I start to worry – what am I going to wear? It’s a very distracting rabbit hole, and before you realise what’s happening, you’ve spent hours browsing a collection of dresses you cannot afford, and you still don’t have an invitation designed or a suitable reading picked out. So, I’m going back to basics (stay with me). It goes without saying that I am beyond BEYOND excited about the fact that a) I have a book to launch and b) I will be launching it in a bookshop in the centre of Dublin. Me? Really?! This is the stuff of dreams, my friends, and I have to pinch myself frequently to make sure I’m not actually talking about somebody else (or in my sleep). Still, my inner hermit-crab winces at the realization that it will be me, as well as my book, that will be on show on the night. I am firmly of the opinion that a book launch should be about … the book. I’ve been to launches in beautiful bookshops, with amazing book-cakes and plenty of fizz, but where the book is hardly mentioned. I’ve left those launches not even sure what the book is called, yet I can tell you all about the author’s spectacular shoes (don’t get me wrong. I like shoes. A lot. But, well, there is a time and a place). And I’ve also left those launches feeling that an opportunity has been missed. So much of a writer’s life is spent alone, with cold fingers, staring at a screen. There is so much doubt and insecurity. So much deadline-induced angst. Which is why I believe it is so important to grab these rare opportunities to talk about the book we have silently slaved (and spilt wine) over. Yes, of course, we want to look nice for the occasion (I’m certainly not planning to rock up in my best writing pyjamas – comfy, though) – but I think we owe it to our professional, writing selves to remember this: book first, shoes later. This is our book’s moment to shine (not our shoes). My book launch (Me? Really?!) will most definitely be about THE BOOK. My current plan is to give a few – hopefully interesting – anecdotes about how the book came to be. I plan to talk, a little, about Titanic (it would be rude not to) and I plan – DUM DUM DUUUUUUUUUM – to give a short reading. Yes, I will be as nervous as a newborn kitten, but I will do this because I hope/believe that my invited guests will be far more interested in the book and why I wrote it, than in the mini burgers they are finding problematic to eat, and where I got my dress (I still have no clue, by the way, as to what I am going to wear). I have yet to successfully navigate these book launch waters and cannot offer my top tips to make things run smoothly. Nor can I offer any savvy, ‘been there’ advice – yet. I am, quite literally, making it up as I go along. But, what I can offer, is an urge for us all to stop fretting about the frocks and the footwear, and focus on what’s really important here. We are, after all, writers – not Victoria Beckham. We longed for this moment. We worked hard for this moment. We saw this moment slipping away as we sobbed over another rejection. Our book deserves its moment in the spotlight, so let’s stand tall and grab it with both hands – regardless of what’s on our feet. Now, did somebody mention balloons … GIVEAWAY! Comment on this post by noon EDT on Friday, April 11, and you’ll be entered to win a copy of THE GIRL WHO CAME HOME. Follow The Debutante Ball on Facebook and Twitter for extra entries—just mention that you did so in your comments. We’ll choose and contact the winner on Friday. Good luck! About the Author Hazel is an author and freelance writer in Ireland and the UK. Originally from Yorkshire, England, she now lives in Ireland with her husband, two children and an accident-prone cat. 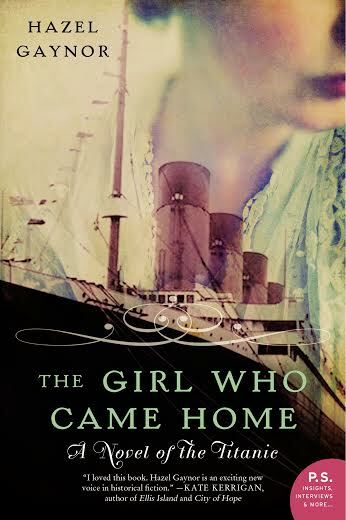 THE GIRL WHO CAME HOME – A Novel of the Titanic is her first novel. Find her online at: her website, Twitter, Facebook, Goodreads, and Pinterest. You will be terrific, Hazel! Please share your pictures from this lovely launch in Dublin. I need to see what shoes you wore. 😉 But seriously, I couldn’t agree more. It should be all about the book! So excited for you! We will be at your launch in spirit. WOW! really and DYING to read this book! thank you soooo much for doing this giveaway! Hazel ,congrats on your book sounds fascinating can’t wait to read it.facebook follower Rhonda Lomazow twitter follower rhondareads. Wishing you a fantastic book launch, how great is it to have it in Dublin – love that city! I can’t even imagine what it feels like for you – a dream come true, and tons of butterflies in your stomach. I am so in awe of writers; the act of writing itself and then the following tasks of the launch, I’m so glad all of you have the courage to go through that process, so that rabid readers like myself can be transported to so many adventures. Hope you have loads of fun and success! Congratulations on THE GIRL WHO CAME HOME! I added this one to my wishlist months ago! I have to be honest and say I’ve not been to a book launch…but I’m surprised it normally isn’t more about the book, the book is the guest of honor, I would think. I suppose people get together and topics turn. I wish you a very successful launch party and enjoy your trip to Dublin! Thank you, Laura – and good luck! What a great point — to keep things in perspective because it is, after all, all about the book! I, for one, would be disappointed if all we did was eat cake (and that’s saying a lot, because I LOVE cake). I’d love to sit in on your launch birthday party to hear the fascinating tales of how your book came to be, to hear your insight about the Titanic and to hear YOU read YOUR words. Enjoy the day, and forget about the footwear. I say you go barefoot! This books sounds fabulous and I’d love the opportunity to win. I’ve tweeted about it as well! Thanks so much, Melissa. Good luck! Fantastic; another Titanic book for my collection. Best of luck. Thank you, Marguerite (a character in my second novel shares your name!). Best of luck! Congratulations on the launch. The book sounds great! Once you start sharing your book, Hazel, no one will remember what you wore because they’ll be so excited (like I am) about reading “The Girl Who Came Home”! Enjoy your launch! Thank you, Kathy! Good luck with the giveaway! Congratulations and best wishes on this wonderful and captivating novel. Historical novels that are profound and meaningful resonate with me. Enjoy this special celebration and launch. This book really sounds amazing!! Thanks for the fab post! Your book launch sounds fabulous, Hazel. Mini burgers AND book talk? I would be there in a heartbeat if I could. Congratulations! Yay, Hazel! Glad to see you here even though I’m a little late in saying so! Congratulations on your book and best of luck at the launch event. If I lived in Dublin, I would definitely come just to see what you ended up wearing 😉 JK! I would be there to hear about your wonderful upcoming book. I look forward to reading it. P.S. I’m so glad I discovered this blog and will continue to follow all of your adventures in writing. 🙂 Thank you, Stephanie! I still haven’t decided what I’m wearing 😉 Good luck in the giveaway! I would love to win a copy of “The Girl Who Came Home” for my niece who asked me to recommend some books and this book was top of my list. Thanks so much, Michelle and good luck to you and your niece in the giveaway!